If cost was no option, we'd all probably choose to eat certified organic meat and produce. So what does organic cost? It truly varies drastically from one place to another. Factors include whether you are shopping at a farmer's market or a supermarket. Food from an organic boutique can be spendy. Here's one article on the costs of an organic vs. nonorganic holiday meal. Buying Organic. Here are some tips to stretch your food dollar. · Be flexible: take advantage of sale items at your local grocery store. Look for on sale organic items and compare costs. · Join a co-op: cutting costs on organic foods can be as easy as joining a co-op. Many are as large as super markets and include delis and health and beauty departments. Plus, they provide excellent sources of regional and local brands. · Buy in bulk: purchasing in bulk can cut costs and eliminate wasteful packaging. Try buying in bulk for commonly used items such as rice, beans, and flour. · Farmer’s markets: like co-ops, farmers markets are a great way to get locally-grown fresh fruits and veggies. You'll often find a large selection of organic produce, including heirloom varieties of favorites and rare produce not available anywhere else. Nutrition. No conclusive evidence shows that organic food is more nutritious than is conventionally grown food. And the USDA — even though it certifies organic food — doesn't claim that these products are safer or more nutritious. Pesticides. Conventional growers use pesticides to protect their crops from molds, insects and diseases. When farmers spray pesticides, this can leave residue on produce. Some people buy organic food to limit their exposure to these residues. Most experts agree, however, that the amount of pesticides found on fruits and vegetables poses a very small health risk. Cost. Most organic food costs more than conventional food products. Higher prices are due to more expensive farming practices, tighter government regulations and lower crop yields. Because organic farmers don't use herbicides or pesticides, many management tools that control weeds and pests are labor intensive. For example, organic growers may hand weed vegetables to control weeds, and you may end up paying more for these vegetables. Taste. Some people say they can taste the difference between organic and nonorganic food. Others say they find no difference. Taste is a subjective and personal consideration, so decide for yourself. But whether you buy organic or not, finding the freshest foods available may have the biggest impact on taste." Read the entire article on Mayo Clinic's Food and Nutrition Site. 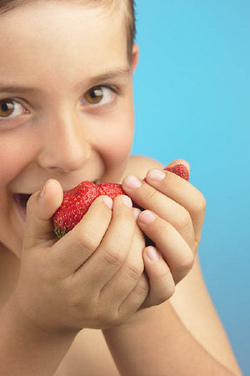 An Environmental Working Group simulation of thousands of consumers eating high and low pesticide diets shows that people can lower their pesticide exposure by almost 90 percent by avoiding the top twelve most contaminated fruits and vegetables and eating the least contaminated instead. Nectarines had the highest percentage of samples test positive for pesticides, followed by peaches and apples. Peaches had the highest likelihood of multiple pesticides on a single sample followed by nectarines and apples. Sweet bell peppers, celery, lettuce, spinach, and potatoes are the vegetables most likely to expose consumers to pesticides. Read on for the full list and how to download a consumer guide of your own. What is the Organic Seed Alliance? The term biodiversity evokes images of scientists working on arcane, remote projects in exotic places - like rainforests or coral reefs. But the idea behind the term is really quite simple. Biodiversity is the natural state of ecology in all its variety. And although the idea is simple, compensating for generations of mono-crops is not an easy feat. The Organic Seed Alliance or OSA, based out of Port Townsend, Washington, promotes diversity in agricultural seed. 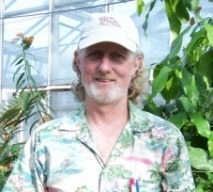 I recently spoke with the Advocacy Director of the Organic Seed Alliance, Matthew Dillon. 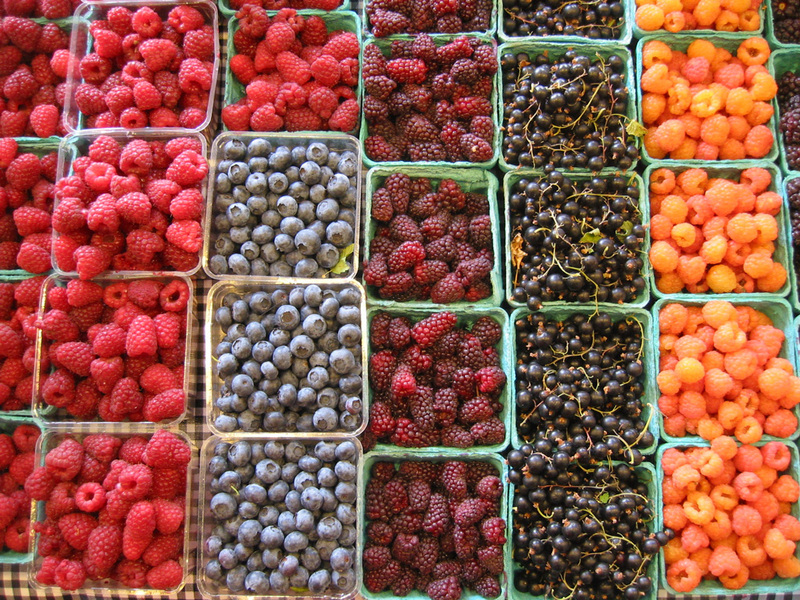 Contemplating An Organic Garden: It's the Berries! Last summer I had what could be described as a peak experience. Not an emotional peak, or a breakthrough in my professional career. It was a culinary revelation in the form of very small raspberries. Organic ones...grown in the gardens of Washington State University. I bought them during my lunch hour from a small stall set up outside the student union building. I think they cost 4 bucks, which seemed pretty steep for such a small amount. I think it was the dark red color that attracted me. A musky sweetness rose from the warm mound of little red thimbles in the cardboard carton. After the first bite I knew that I was encountering something very rare and wonderful. The ripe sweet liquid burst from the little globules. The flavor to me was more rich, refreshing and as complex as the best glass of wine. I already buy organic every chance I get. Like many people, I'm concerned about insecticide and herbicide residue. But what has me hooked is the flavor of organic and heirloom tomatoes and berries. Maybe it was the seemingly endless winter that made me think of digging my hands and feet in black soil and growing a bountiful harvest of gorgeous raspberries. Whatever it is, this year I am preparing to grow a fruit and vegetable garden. And not just any garden: an organic one. One of our young staff people, Arlie Sommer, grew up among organic produce. Her folks grow herbs for restaurants in southern Idaho. We decided to offer some tips and links that you can use to grow an organic garden. We aim to try to use these resources ourselves as we share them with you. Cheers and here's to the long days of summer!